ZANU-PF was yesterday forced to cancel President Emmerson Mnangagwa's scheduled campaign rally at Chipadze Stadium in Bindura today amid reports that it had run out of campaign regalia. 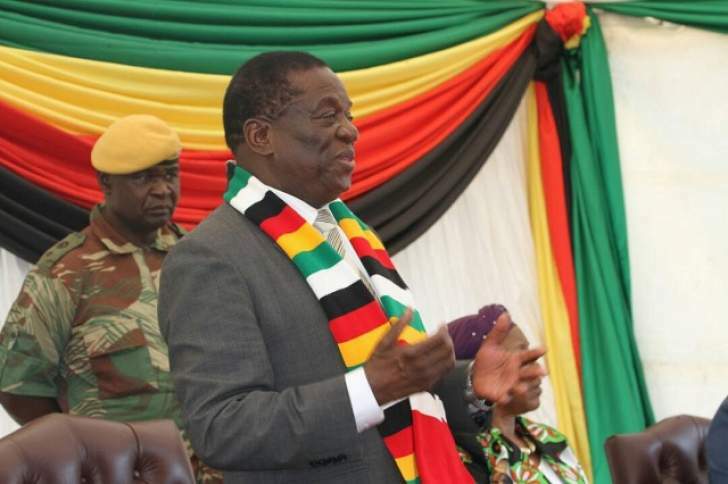 Mnangagwa was due to address a rally at Chipadze Stadium this afternoon after visiting Eureka Gold Mine in Guruve and then officially laying a foundation stone for a multi-purpose sports centre to be built at Bindura University of Science Education (BUSE). But Zanu-PF politburo member Munyaradzi Machacha denied reports that Mnangagwa was expected in Bindura, saying the President had a packed schedule to address a rally. "The President will come for a rally at a later date," Machacha said. "He will be in Guruve, at Eureka Mine at the invitation of the Ministry of Mines and then at Bindura University at the invitation of the Ministry of Higher Education. He will be in Mashonaland Central for government work. The commissariat is not involved in his programmes tomorrow (today)." Machacha added: "The issue of the rally was never on the schedule. It was only the request by the party supporters in the province to have him address them since he will be in the province." Zanu-PF insiders, however, told NewsDay the rally was cancelled at the 11th hour amid concerns over non-delivery of campaign material. "The President was supposed to address a rally here tomorrow (today) but it has been realised that the party does not have party regalia to give to its supporters. The President will come at a later date," the insider who declined to be named disclosed. The source said the issue was raised at the provincial co-ordinating committee meeting in Bindura at the weekend where some party officials raised concern over the failure by Zanu-PF to provide party regalia to its supporters at the various gatherings, particularly at a rally to be addressed by Mnangagwa. "It is also the same meeting where party officials raised concern over voter apathy at the party's just-ended primary elections. "The commissariat disclosed that Mashonaland province, which used to be ranked first in supporting Zanu-PF during former President Robert Mugabe's reign, was now ranked second. The province now commanding the pole post was not, however, mentioned." Zanu-PF national commissar Engelbert Rugeje at the weekend, told party supporters at Bare Growth Point in Chiweshe that the donated regalia had not yet arrived. "I want to assure you that all districts that have not received the party regalia will get it. The problem we have is that, our regalia is coming from China and the place is far. Most of it we were given free of charge and to bring them here, we use air transport and it takes time to deliver them here. But I want to assure you that our regalia is there, it should be worn by all from the cell because you are the ones who will vote," he told party supporters. At a rally addressed by Vice-President Kembo Mohadi on June 7, Mashonaland Central provincial chairperson Kazembe Kazembe lamented the party's inability to give its supporters regalia while other "small parties" were doing so. "Opposition supporters are now more visible than ours because we do not have regalia," Kazembe told Mohadi. In April, Rugeje disclosed that the party was expecting to import 15 million T-shirts, wrappers and 15 million caps for its 2018 campaigns, claiming some of the material had already arrived from China.